There are some castles that look like storybook illustrations. With striking exteriors and opulent interiors all castles showcase different architecture from their period. Whether they served as fortress or royal residence, every castle impresses you with its unique elegance. If you want to live your fairy tale or princess dream you should visit these beautiful castles in the world. Built high on a peak of rocky island, Mont Saint Michel is a UNESCO World Heritage site located near Normandy, northern France. The population of the island is just a few dozens but it is visited by more than 3 million tourists every year. Mont Saint-Michel is a semi-mystery castle just looks like a film-worthy attraction with picturesque tidal reflections. By car: The iconic attraction is 4-hour drive away from Paris by car. 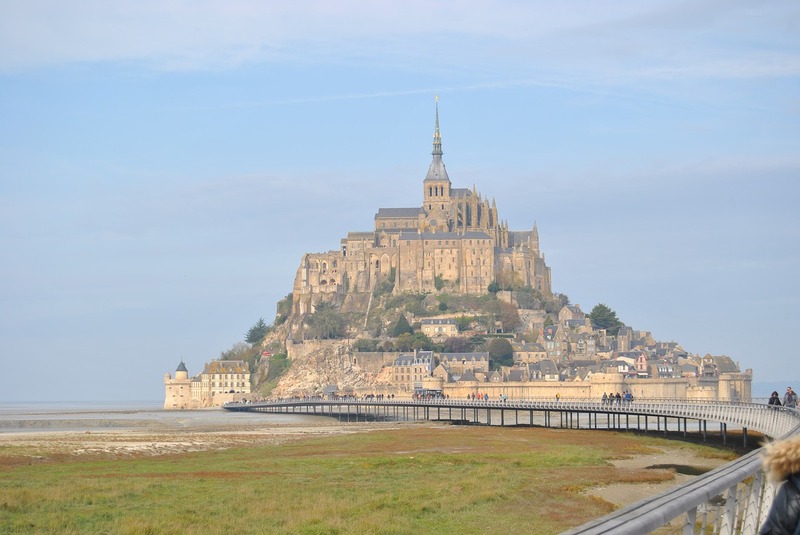 By bus: Choosing a bus is a convenient option to reach Mont Saint-Michel. Several tour operators serve more than fourteen buses a day from Paris. Dominating the skyline of Edinburgh, Edinburgh Castle is a historic fortress which played a pivotal role in history. Perched high on Castle Rock, the castle offers magnificent views of many attractions like Royal Mile, Princes Street, etc. A number of international airlines operate flights connecting Edinburgh and major cities of Europe, Middle East, and North America. Edinburgh Airport is also served by numerous seasonal and charter flights throughout the year. 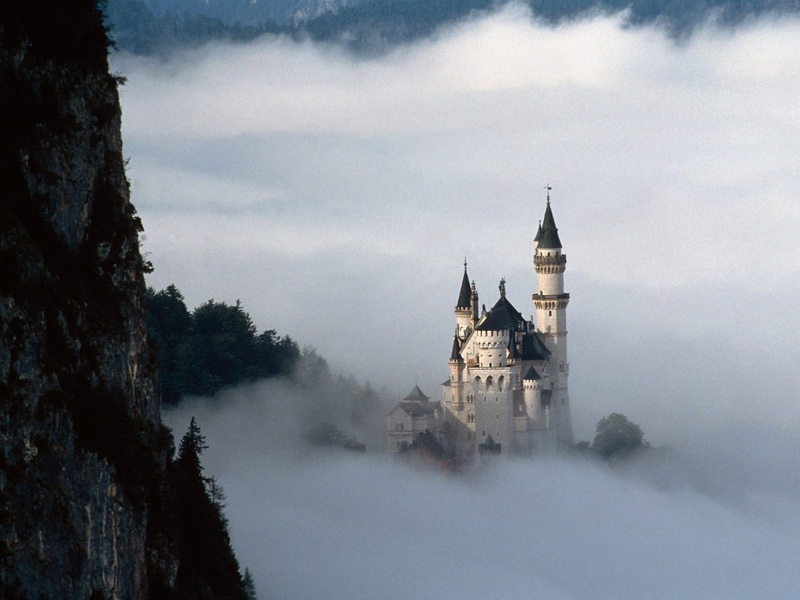 Did you know a fairy tale like Sleeping Beauty was inspired by real castles? The castle in the story of Sleeping Beauty, the Cinderella castle and other fairytale castles have one source of inspiration i.e. Neuschwanstein Castle. 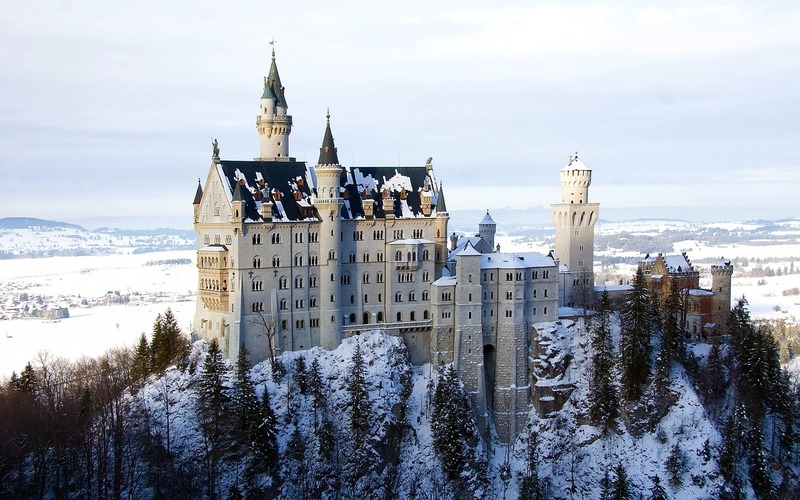 Built for King Ludwig II, Neuschwanstein Castle located on a rugged cliff in Schwangau offering scenic landscapes. How to reach Neuschwanstein Castle from Munich? Choosing a car is a convenient option to reach Neuschwanstein Castle. It takes approximately 2 hours from Munich via A7. Or else join a group tour or take Flixbus which takes 3 hours approximately to reach the castle. Füssen is the nearest train station to reach Schwangau. 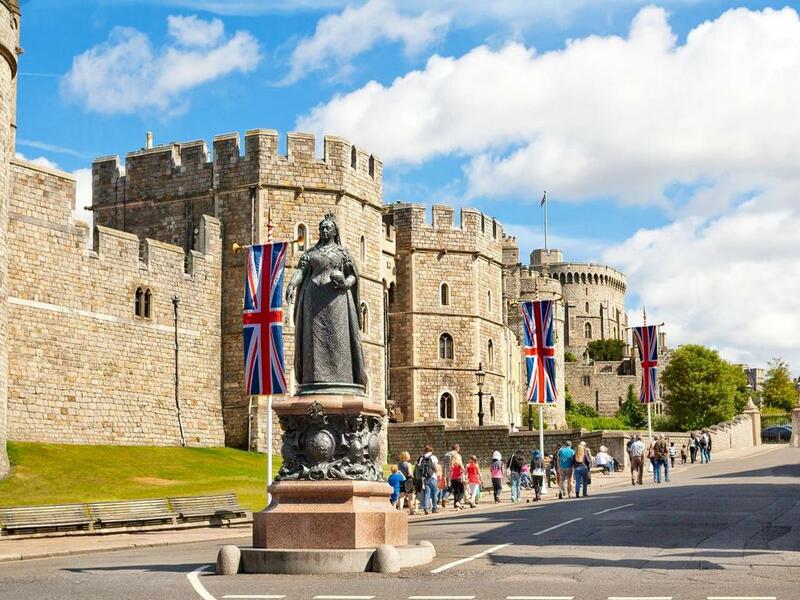 With a Queen Victoria statue in the foreground, Windsor Castle is the world’s longest occupied castle in the world. Several centuries old grandeur of the castle is enough to attract millions of tourists every year. Being notable royal residence, Windsor Castle is associated with English and later British royal family. It’s a beautiful castle where Queen Elizabeth spend her weekends and where Prince Harry and Meghan Markle had their grand wedding. Windsor is 19 kilometers away from London Heathrow Airport and easily accessible from other major airports in London. It takes an hour from London Waterloo station on a train. Glamis Castle is one of the striking castles located beside the Glamis village in Angus. It was the childhood home of Queen Elizabeth, The Queen Mother. 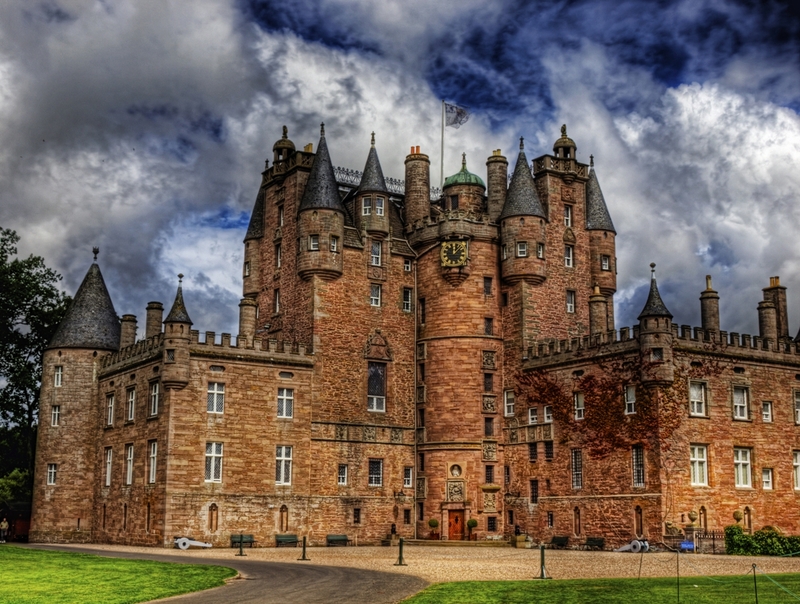 Set in beautiful gardens, Glamis Castle is considered as one of the most haunted castles in Scotland. You would definitely be impressed by its majesty and thousand years of history. Edinburgh Airport is the nearest airport to reach the region of Angus. 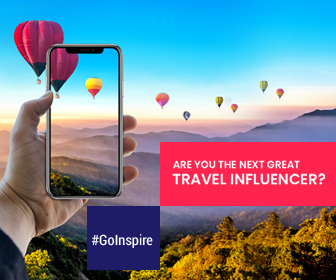 The airport is well connected with the major national and international cities like London, Helsinki, Amsterdam, Barcelona, Paris, Venice, etc.